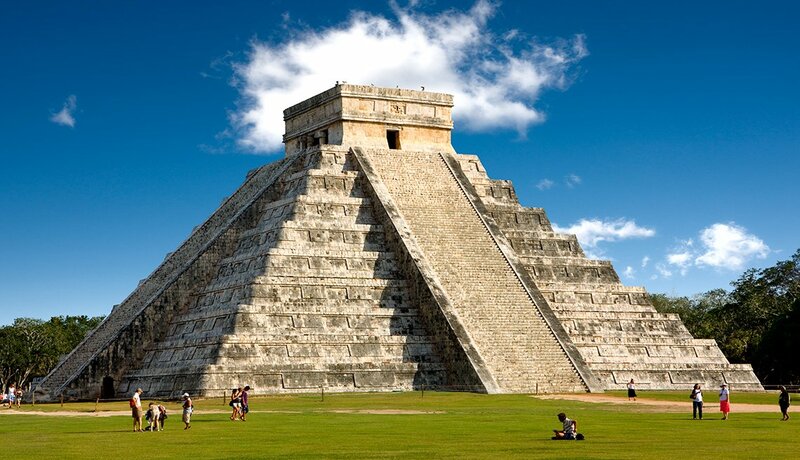 By far the largest and most impressive Mayan archeological ruins site in the region, Chichen Itza was named one of the New Seven Wonders of the World in 2007. Several buildings have survived on the sacred site, including El Castillo, a 98-foot pyramid of stone. If you're not fit, you won't want to climb the ruins. But there's still plenty to see just by strolling around. And the generally flat landscape makes getting around feasible for those in wheelchairs, too. To visit the site, about a two-hour drive from Cancún, arrange a tour through your hotel. 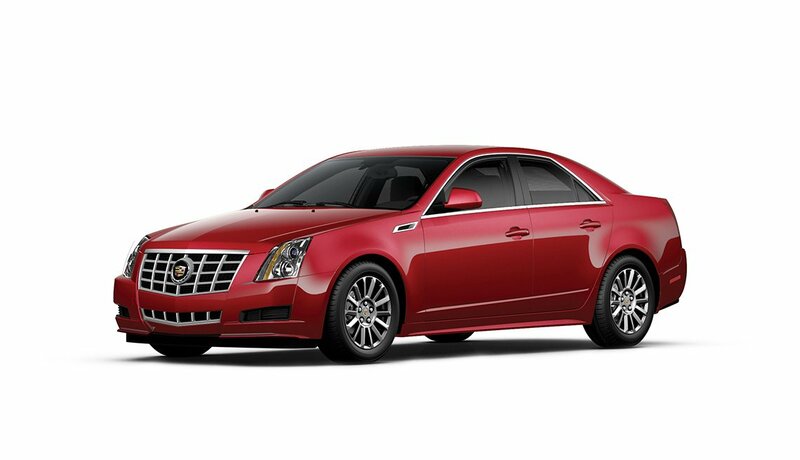 Bite the bullet and opt for one that leaves very early in the morning, as you'll want to get there as close to 9 a.m., when the site opens, as possible. That's when tourists are few and the weather is still pleasant and not so hot. Isla Mujeres, or "Island of Women," is a 20-minute ferry ride from Cancún. Despite being home to some of the world's most beautiful beaches, Isla Mujeres isn't saturated with tourists. Instead, it offers a laid-back vibe and plenty of hammocks for those who just want to relax. Since the island is only four miles long, there's no need for a car. Instead, you can rent a golf cart to discover all the island has to offer. 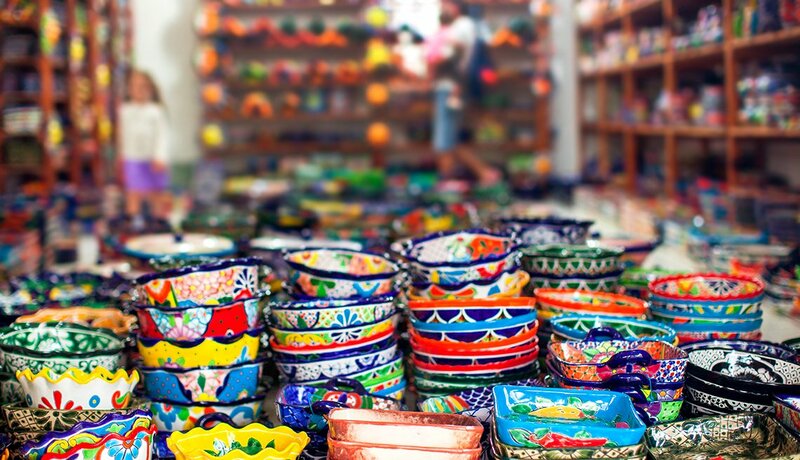 A pleasant mix of shops offers local crafts and souvenirs at lower prices than in Cancún. There are also nice seafood restaurants, a turtle farm and great spots for snorkeling. As one of the best family attractions in Cancún, the Interactive Aquarium is entertaining for all ages. And since you can see most of the exhibits in an hour or two, there's no time for even very young grandchildren to get bored. Located in the Cancún Hotel Zone, right next door to La Isla Shopping Village, the only aquarium in Cancún allows you to get up close and personal with marine life thanks to its touch tanks, shark feedings and dolphin swims. Although the aquarium is small, it can be a lifesaver on a rainy day. Located 40 miles northwest of Cancún, Holbox Island is an under-the-radar getaway that's rarely crowded and perfect for bird watchers. This hidden gem, which is 26 miles long and one mile wide, is separated from the mainland coast of Mexico by a shallow lagoon, making it a perfect sanctuary for a wide variety of birds — from pelicans and flamingoes to egrets and seagulls. 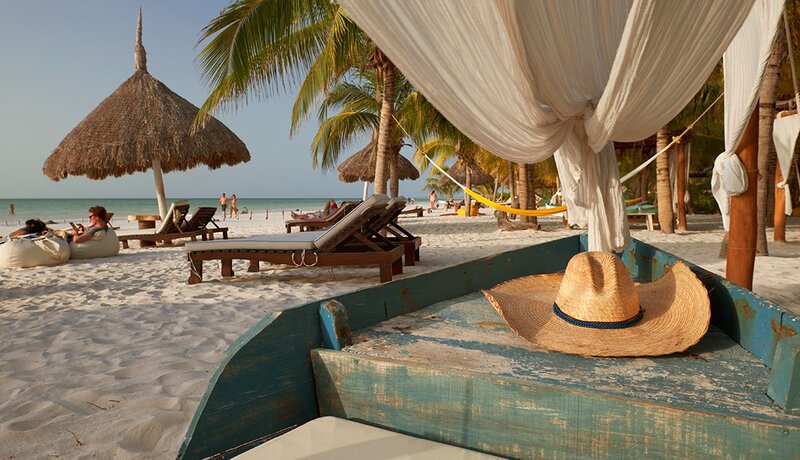 Many hotels offer transfers to Holbox, but if you want to go it alone, you can take a bus or taxi to Chiquila, about two hours north of Cancún, and then grab a ferry across to Holbox Island. 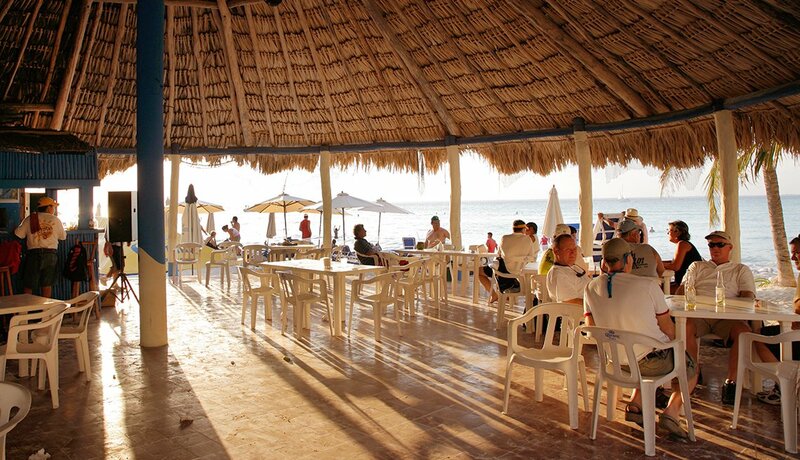 For those who enjoy casting a line, Holbox is also a great place to fish. If you want to expand your palate beyond the fancier hotel fare, visit Pescaditos, an authentic streetside fish restaurant in downtown Cancún. Not only is it cheap and popular with locals, but there's often live music. 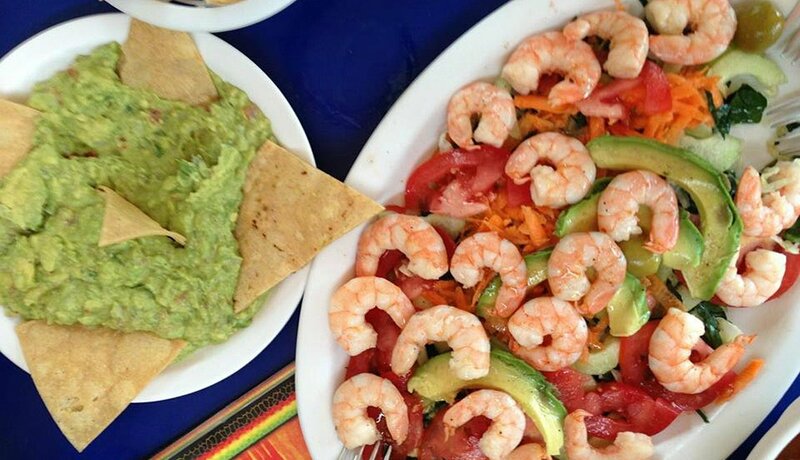 When it comes to food, Pescaditos is known for its excellent shrimp dishes and ceviche. The margaritas aren't too bad, either. Other top-notch restaurants include Flamingos Seafood Kitchen and Peter's Restaurante. 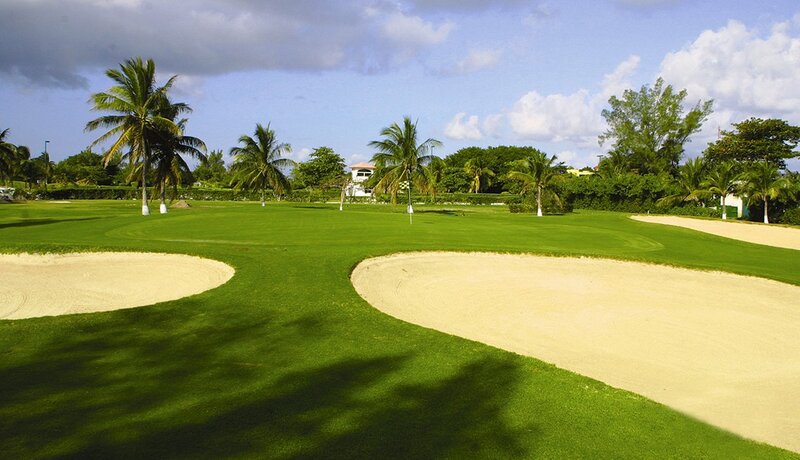 Designed by famous course architect Robert Trent Jones II, the Golf Club at Pok-Ta-Pok sits on the northern end of Boulevard Kukulkan in Cancún. The course draws golfers 365 days a year, in large part because a golf cart is included with the greens fees. To save money, tee off after 2 p.m. and you'll enjoy a discounted price. Facilities include an 18-hole championship golf course, a driving range, two practice putting greens and a well-stocked pro shop. If you have grandchildren in tow, Xel-Ha is one of the best places to take them. 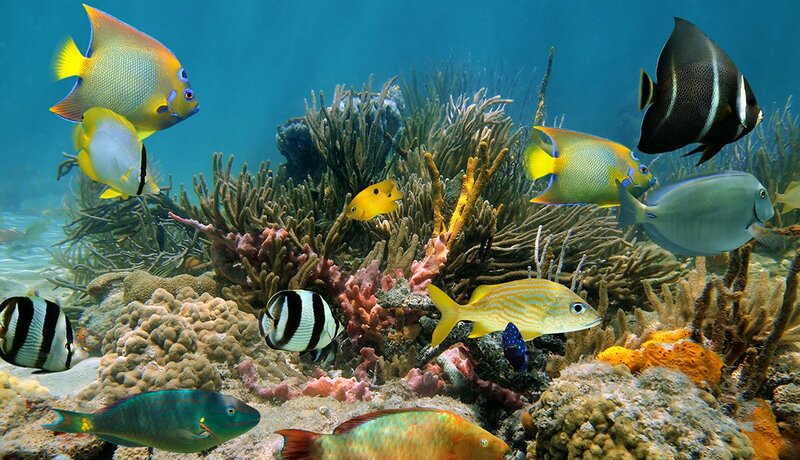 Not only can they practice snorkeling at this aquatic theme park surrounded by colorful fish, but they can also ride bikes, take a train ride or enjoy long walks in the jungle. There's definitely no shortage of land and water activities. Upon arrival, you'll receive an all-inclusive wristband and a map to help you navigate the 35-acre park. There also are add-on activities that allow you to snorkel with manatees, interact with stingrays and swim with dolphins. Getting around the park is easy, thanks to the jungle train and available bicycles. 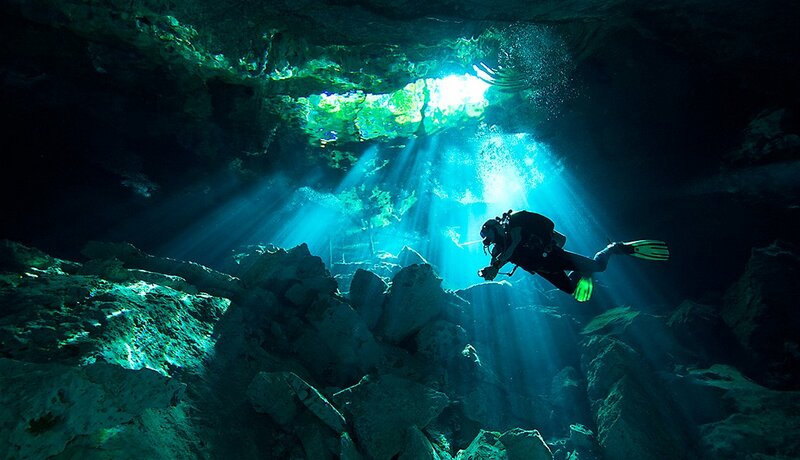 Located about a two-hour drive from Cancún, Tulum is a resort town on Mexico's Caribbean coast that's popular with tourists mostly because of its cenotes — subterranean swimming holes — which are fun for young and old alike. 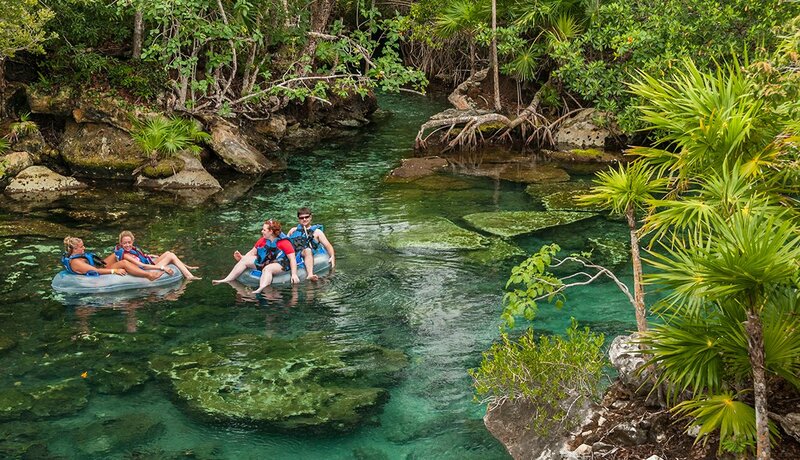 Beyond swimming, you can also take a canal trip through the Sian Ka’an Biosphere Reserve, a UNESCO World Heritage Site and home to thousands of species of flora and fauna. Finally, there are the Tulum Ruins, one of the most well-known archeological sites in the world. For those with mobility issues, a private touring company called Cancún Accessible has wheelchair-accessible vans that serve the Cancún and Tulum areas. Soak up the sounds and colors of a local market by visiting Tianguis de la 100, the biggest street market in Cancún. Not only is it great for people watching, but you can also buy vintage clothing and other fun items at low prices — especially if you know how to bargain. The market, at Calle 16, is open every Sunday from 6 a.m. to 4 p.m. If you want to explore the whole market, be sure to set aside a few hours. It's worth it. For a little romance, take the Cancún Queen sunset cruise. 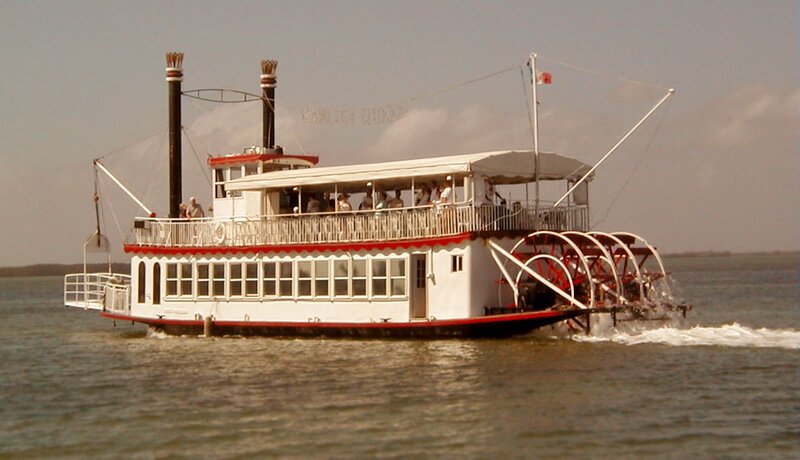 You'll climb aboard a classic Mississippi River sternwheeler, which will take you for a waveless ride through the lovely mangrove channels of the Nichupute Lagoon as you enjoy a beautiful sunset and views of Cancún. 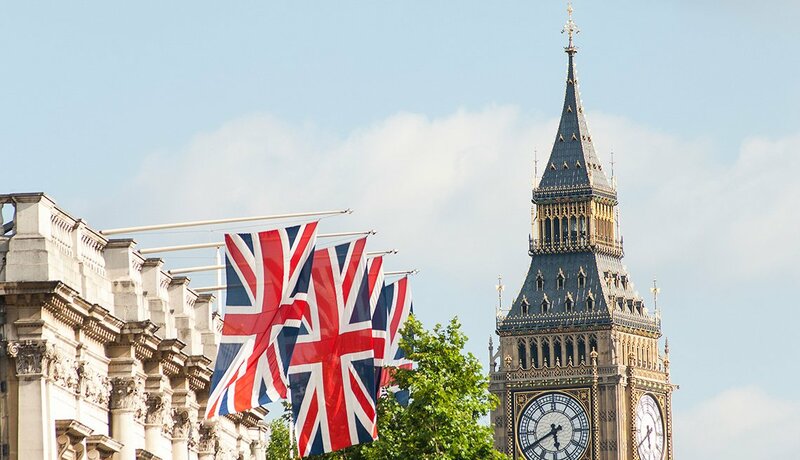 There are live music, open bars, dancing and delicious dining. The cruises depart from the Aquaworld Marina, located near most of the major hotels, and range from one- to four-hour excursions.